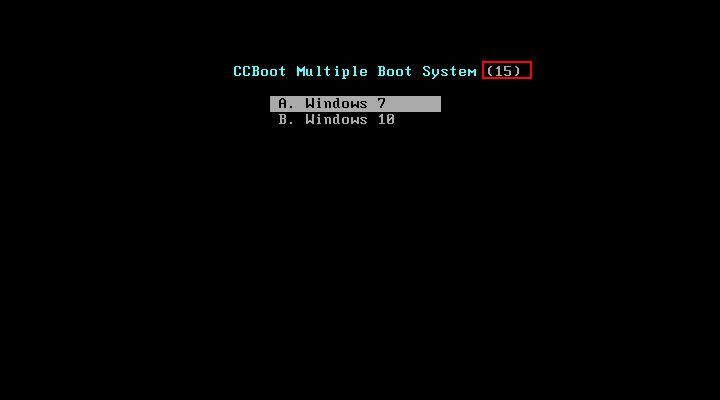 In newest version of CCBoot, setting default timeout for boot menu has been optimized to the point of just entering time out value. 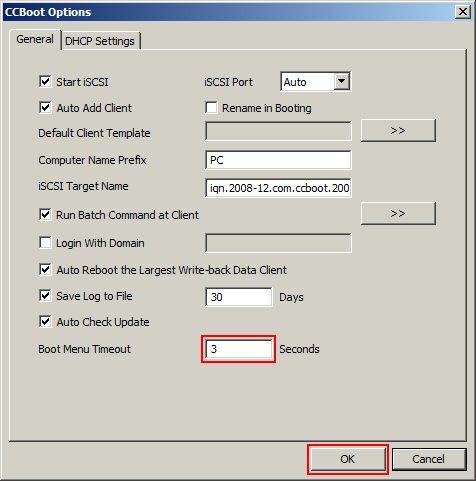 1) Open the options dialog box and enter desired timeout value in the “Boot Menu Timeout” field. (timeout value is in seconds). Once done click ‘OK’ to save the settings. 2) Now, boot the client diskless and you will see as below.